Secret Revealed About Keyword Optimization! Do you want to make your content marketing efforts & journey successful? You might be done your niche research or topic selection part of your website. And your core target to get your site top in search engine results according to your targeted keywords, right? So, you might willing to know what vital things should be considered with the keywords for proper content creation. From this post, you will know the exact things about the keyword optimization techniques for making users & SEO friendly contents that drive organic traffics. Why does keyword optimization important for content marketing? You might want to write up some contents by yourself or writers. But there can be made some silly mistakes in content optimization. That’s why you must need to know this techniques so that you can make quality contents that rightly optimized with the keywords. I believe that, this quick guidelines help you to get a good concept about keyword placement for content optimization. Before going to the focus points, I would like to tell you more deeper around this today’s topic. There are some metrics you have to know while choosing the perfect keywords for your website. Because right keywords drive more traffics to your site which can increase your website sales and conversation as well. Moreover your content marketing journey would be worthless without picking up the right keywords. That’s why make sure, you have to do everything with the correct approach. 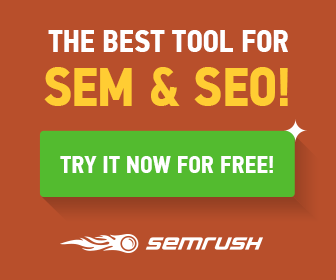 What are the best keyword research tools? Why the keywords are important? You might already heard that content is one the most powerful things that help for growing up your online business. While your business’s SEO efforts depend on quality contents creation, there contents stand on picking up the right keywords. What are the secrets about keyword optimization? Rightly input your keywords are essential part for optimizing every contents. A few years ago, people use keyword density method for content creation. But it’s time to forget it. You have to use your keywords naturally so that it can make sense for users. Meta Description: Mention the primary keyword in meta description. URL: Use your main keyword in the URL and keep it short & descriptive. These are three major places you must input your keyword. There are some more ways, you can use keyword in contents. Make sure your contents creation intention should be targeted to the audience (first priority). Subheading: If you have opportunity to use the primary keyword in subheading, use it naturally. Introduction: Mention the major keyword in first 100 words of a content. Paragraph: Don’t stuck with a single keyword. Target one primary keyword and use related keywords & long tail keywords to prevent keyword stuffing of primary keyword. Content Images: Images file name, image title, description and alt tag should be relevant. Try to use keyword in this points, it’s also much beneficial for getting image traffics. We all know, “Quality content is king”. But if the contents don’t reach to your audience or can’t drive any traffics from search engine; then those can be worthless for getting organic traffics. Very nice and helpful post. Keep on writing. Thanks.